Paint. Benefits: There are benefits for both horse and human. SHINE IN YELLOWOUT takes yellow stains out of hair and gives dull hair of every color a more brilliant sheen. 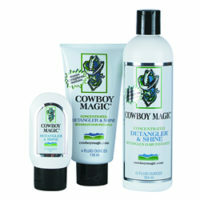 It leaves hair silky, shiny and smelling good. Directions: Apply to wet hair, massage in until blue suds turn white. Permanent Stains: Nature can permanently stain hair color. To determine if a stain is permanent or not, soak stained hair in a 50/50 mixture of vinegar and warm to hot water for two to five minutes. 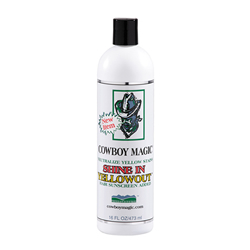 Re-apply SHINE IN YELLOWOUT per directions.